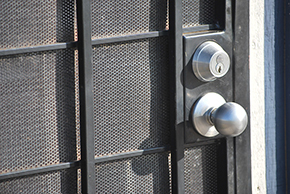 In need of an emergency locksmith that can Unlock Garden Gate or your backyard gate? You are in luck because A1Locksmith provides you with the help you need when your garden or backyard gate has accidentally been locked and won’t open. We are the most reliable 24-hour locksmith in Toronto. We’ve been serving the Ontario, Canada region for a significant amount of time as we’ve been in business since 1987. Therefore, you can rest knowing that we’ve got your back no matter how bad it may seem. There’s no better company to help you out in your time of need. All in all, if you need a locksmith in Toronto to Unlock Garden Gate or backyard gate then there’s only one company you need to call and that is A1Locksmith. So give us a call right now at 647-557-6403 to find out more.